Eddie shares a quote from Rumi. It reminded joy flows like a river through life. It takes on meaning in ways I cannot anticipate. I took this picture of Kathy and the Fraser River in East Central British Columbia. Around the bend is a waterfall one can hear, but not see from this vantage. The river flows. We saw this one from the car as we drove through Logan’s Pass. We saw several waterfalls that fell either right on the highway or right beside it. Literally, we shot pictures from the car as we drove. Parking is at a premium throughout the pass. I want to give perspective on driving through the pass. This is common with even more pronounced switchbacks in places. I can look out of the car window when there is vegetation along the side of the road, but my fear of heights is paralyzing. I don’t drive these roads. Kathy was a mountain goat in an earlier life and is far more comfortable with this driving. We walked in to Running Eagle Falls or Trick Falls. 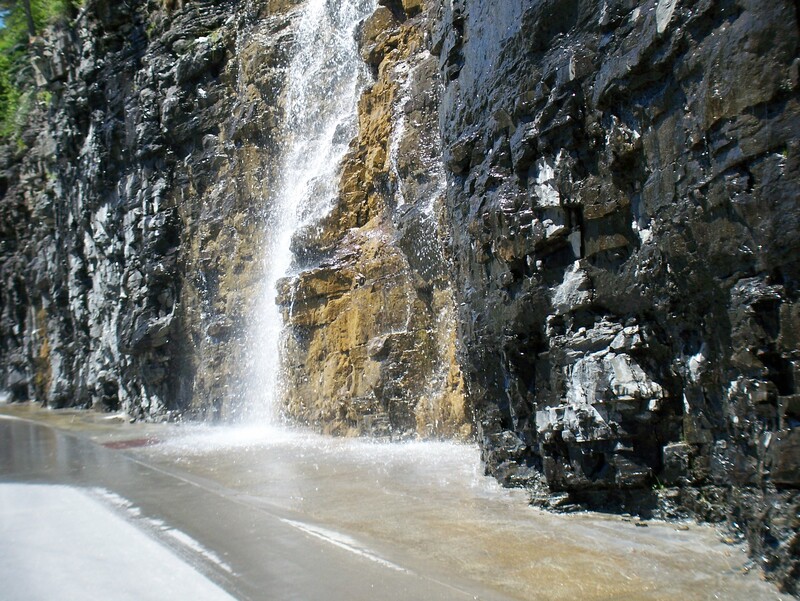 Earlier in the summer and spring, there are two waterfalls caused by spring run off from the snow melt. I copied a picture, which shows the second waterfall above the one in our picture. The link I used rated these falls among the top in the Pacific Northwest. We hiked into Avalanche Lake. We took pictures from both ends of the lake. 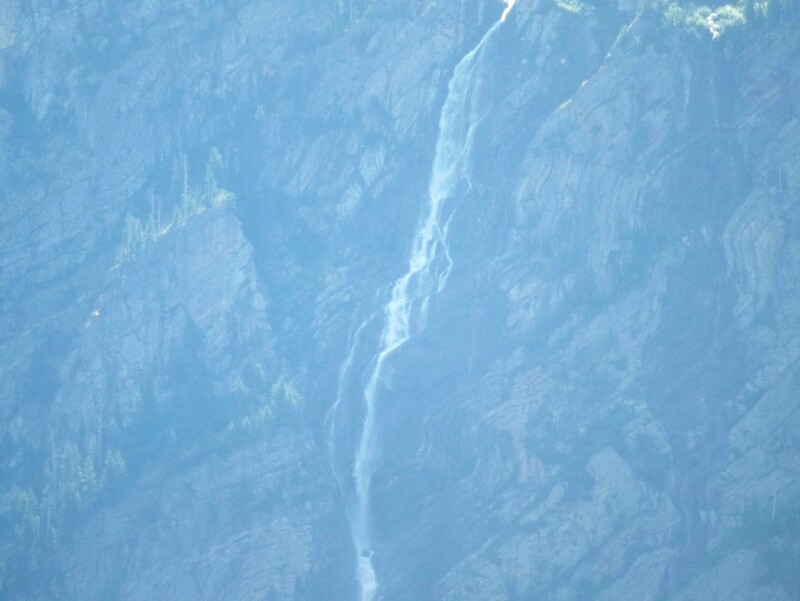 The first picture shows a series of waterfalls coming down from the mountain side. The snow on the mountains is actually in the form of glaciers. We hiked around the lake and were able to take a few more pictures. Another hiker told us he tried to get closer, but once he was a few feet into the trees he said it was impassable. You can see in this picture that it does not look far but the underbrush is heavy. The link to Avalanche Lake has some pictures taken by someone who was able to get closer to the base of at least one of the waterfalls. 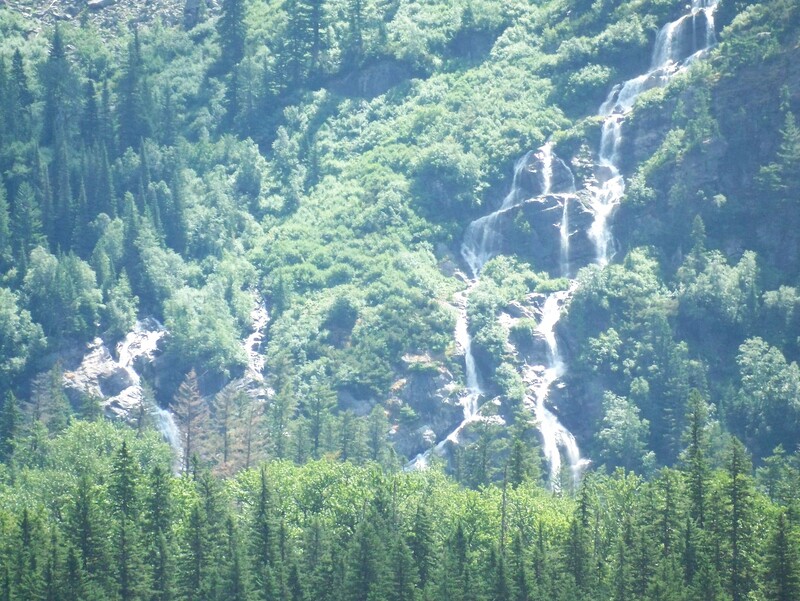 As we got closer, the waterfalls look quite different with more ribbons appearing. We were furthest from this waterfall, but the ribbons were clearer as we got closer. I took two pictures in Logan’s Pass. This was one. Once we got to the top of the pass, it was less open and I was able to manage a camera shot. It was right beside the highway. I rolled the window down, as there was no parking and took this picture. 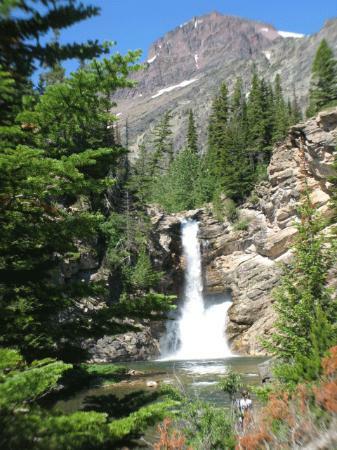 Posted in Mindful Life, Nature in All Its Glory, Photography, Reflective Moments and tagged Glacier National Park, Mindful Practice, nature, Rocky Mountains, running eagle falls, travel, waterfalls. Bookmark the permalink. Shimon who posts at The Human Picture left a comment on my post Sabbath’s Circle. I am grateful for his explanation of the roots of the word ‘sabbath’ which indicates sitting. It is always good to know what the roots of words are so when we use them we understand them more fully and, when I sit with something in quiet time, it finds its way into my practice. 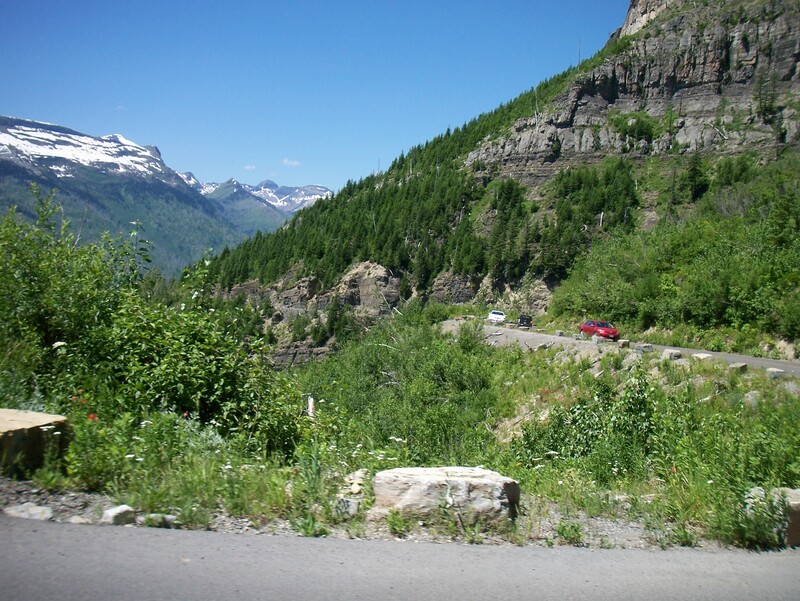 Kathy and I will drive to Waterton Lakes National Park and I will enjoy my day of disconnecting in a place that is important to us. We spent part of our honeymoon there and it is a special place for us. I am looking forward to spending time in a special place full of God’s many gifts. We are not sure what we will do, but the next 3 days we will just let intuition guide us. This is a view from about 50 km (30 miles) away from what we will be re-exploring. I will have more to post when I return on Monday. 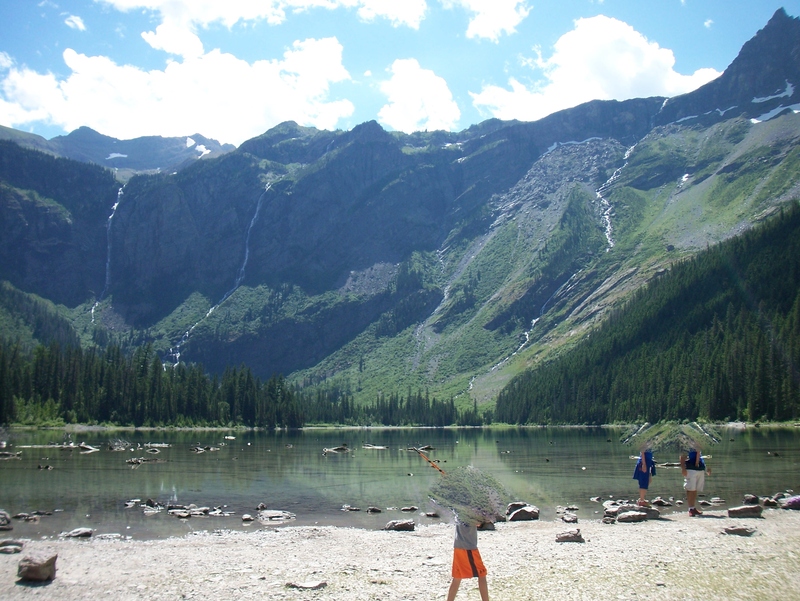 Posted in Mindful Life, Nature in All Its Glory, Photography, Reflective Moments, Uncategorized and tagged Mindful Practice, nature, outdoors, Rocky Mountains, sabbath, travel, vacation, waterton lakes national park. Bookmark the permalink. It is better to travel than to arrive, it is because traveling is constant arriving – John Dewey. Kathy and I have spent time in the Portland Oregon area several times. It is such a fun place to visit. One summer we were there we went to Hood River, toured, golfed, and took pictures. 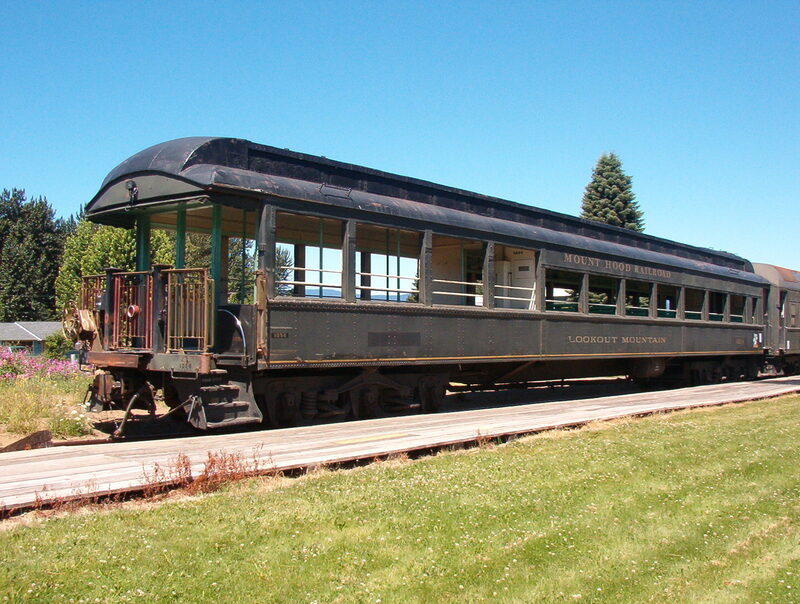 One of our excursions was a ride on the Mount Hood Railroad. 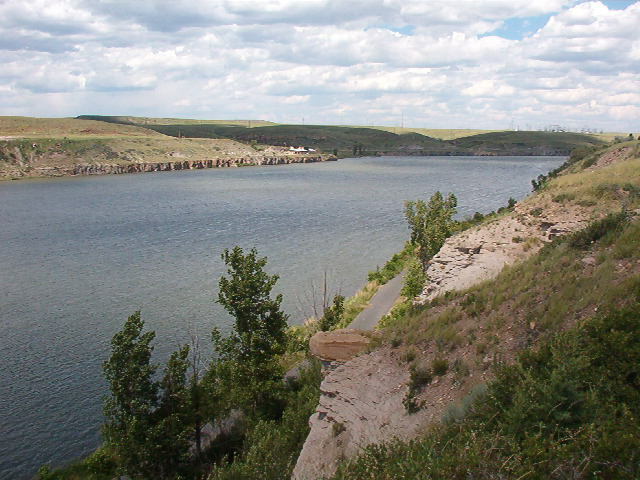 I lived the first years plus in a hamlet on the Athabasca River in Alberta. Back in the day, it was a long way to Edmonton by car, but I vaguely recall riding the rails once or twice to go into Edmonton. 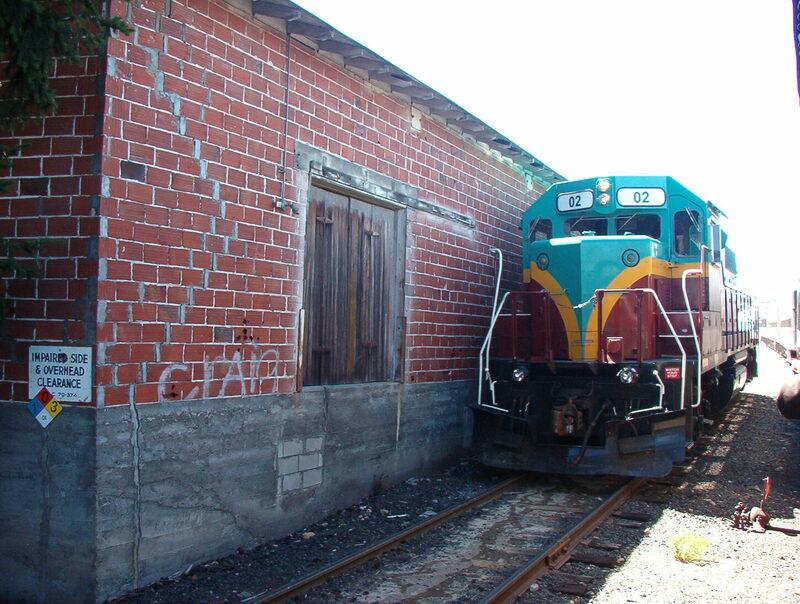 This is a working train. When I got back to school, one of my students asked if I knew the gauge of the tracks. I did not and he told me what it was sight unseen. I took him at his word. Another time he asked me if I knew how many penalty minutes a particular player took during an NHL season during the 1960’s. When I looked it up, he was dead on. I cannot remember how many penalty minutes I took in any season, but know I exceeded 100 minutes one season; not bad for a goalie. A favourite artist of mine is Johnny Cash. I enjoyed every element of his career from the Sun Record days to the American Hero days. Here is a song that fits: The Rock Island Line. It comes from his Sun recordings. 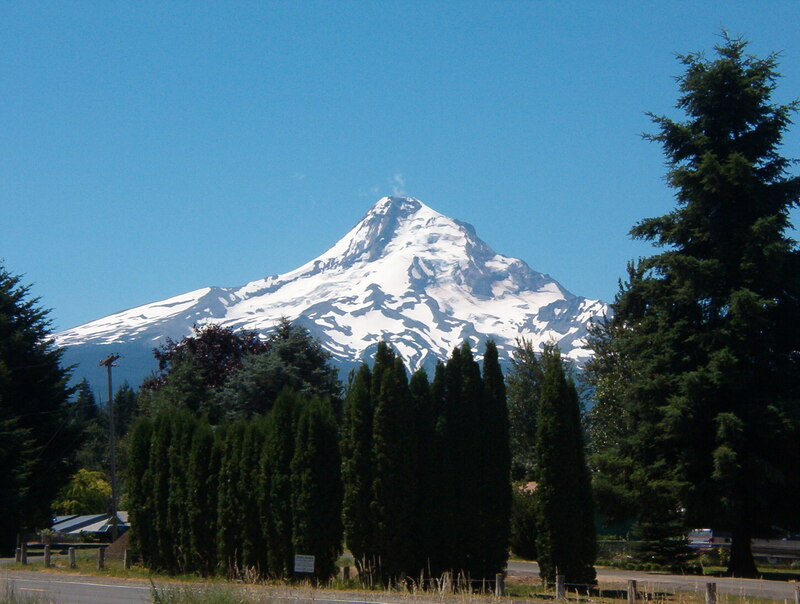 At various places you can take pictures of Mount Hood. 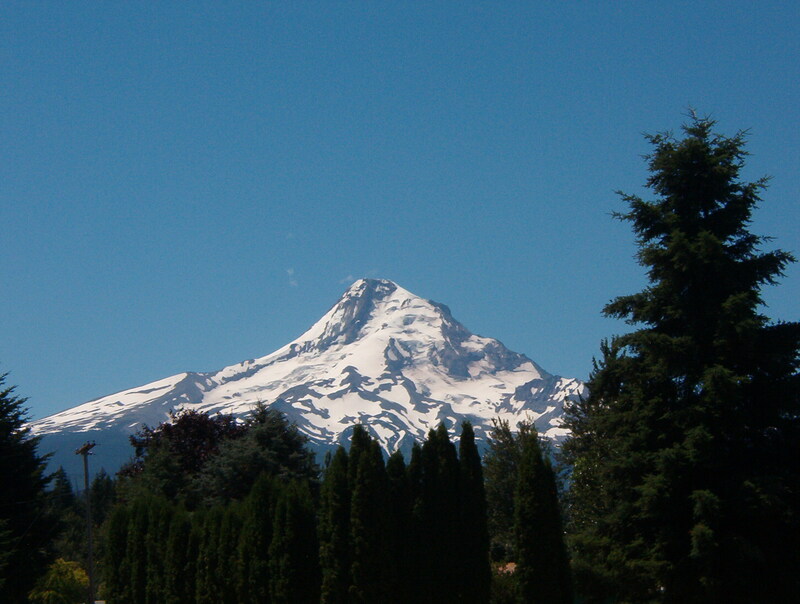 It is snow-capped year round and has summer skiing on one its faces. I don’t ski, but I used to golf. There is pretty good course on the mountain and we played 27 holes in almost 100 degree heat. One of the stops was a museum and this was some of the equipment on display. Reminded me of the farm. 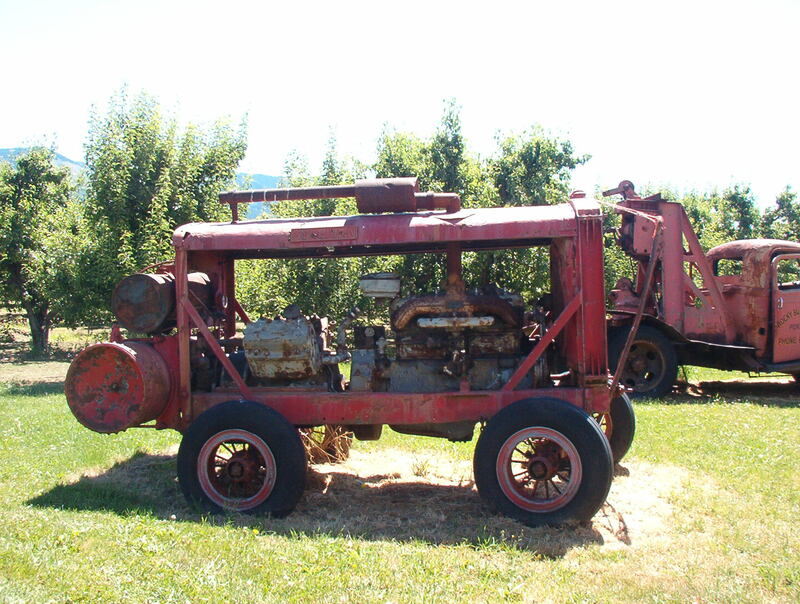 There were a variety of old cars, tractors, a caterpillar, and parts of an old planer mill where Kathy’s family farmed. 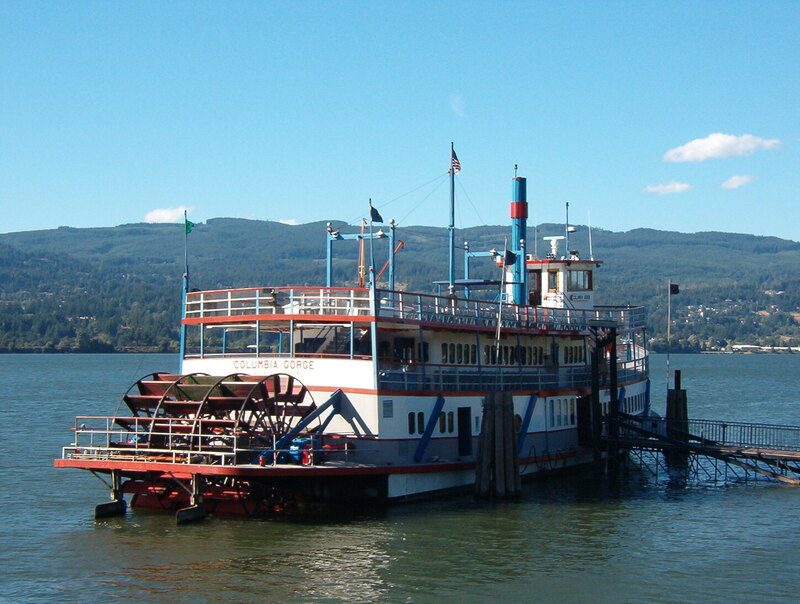 Hood River is basically on the Columbia River Gorge with other modes of transportation available. The paddle wheel is more a last resort. When we lived on the Athabasca River, my dad built a boat with a Willys Jeep engine as an inboard motor. I impress my mother when I tell her I remember that, about the train rides, our dog, Brownie, and chasing my older brothers through the coal shed and jumping down onto the chopping block underneath the back window. Some evidence of a way of life that is not totally lost but reshaped by the damming of the Columbia. The majesty of the end of the day revealed in various colours and shadows. I am now listening to Johnny Cash singing I’ve Been Everywhere. Not quite, but no reason not to dream and try. There is a Canadian connection to the song. It was originally written by Geoff Mack, an Australian, and recorded by Hank Snow, a Canadian, using North American place names. Posted in Nature in All Its Glory, Photography, Reflective Moments and tagged Columbia River, columbia river gorge, Johnny Cash, Mount Hood, Mount Hood Railroad, nature, Sun Records, travel. Bookmark the permalink. 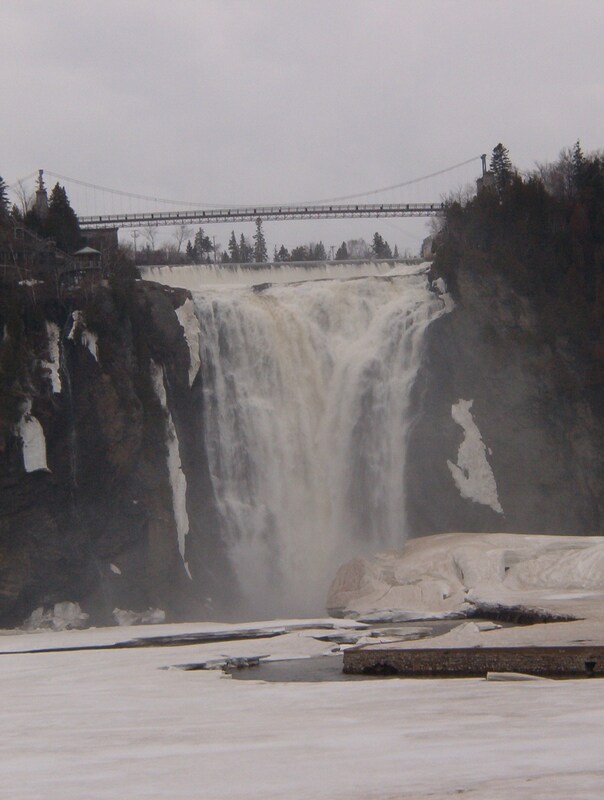 This is a winter picture of La Chute (waterfall in English) Montmorency just outside Quebec City. 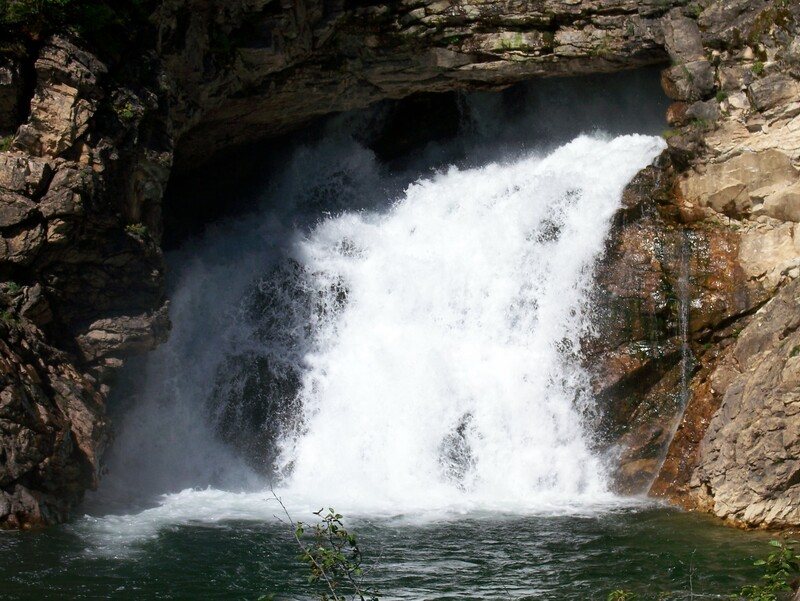 At the base of the falls, around the open water, fly fishermen will be out during the summer. What you see a the top is a walkway across the falls and there is a tram just to the right of this picture. 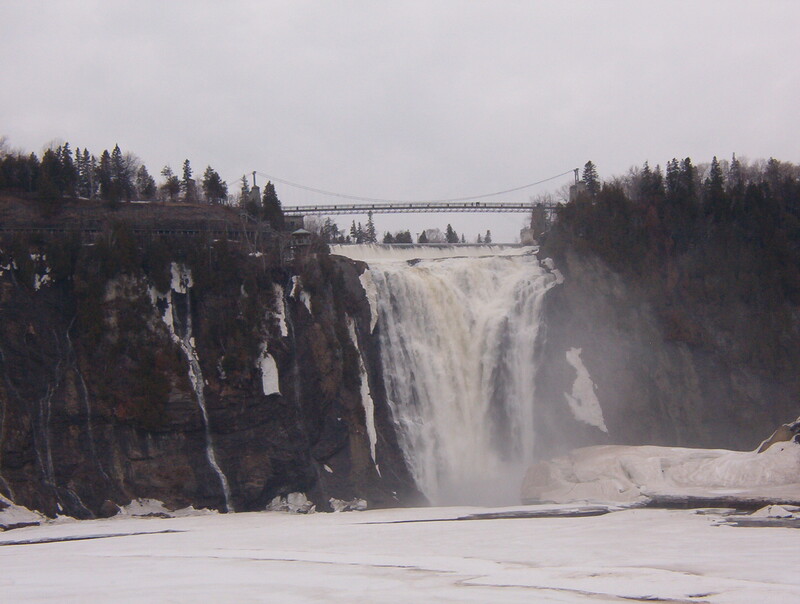 The St. Lawrence River is only a few hundred metres from the base of the falls. Here is a second picture of the falls. When Kathy and I were determined to see these falls. The pictures do not do them justice, but, as you can tell even in winter, they are spectacular. While driving across Le Pont Pierre-Laporte my fear of heights kicked in when I realized how far above the St. Lawrence we were. I needed to be in the right lane, but there was no way I was getting that close to the edge and it took creative driving on the far side of the bridge to get to the falls. 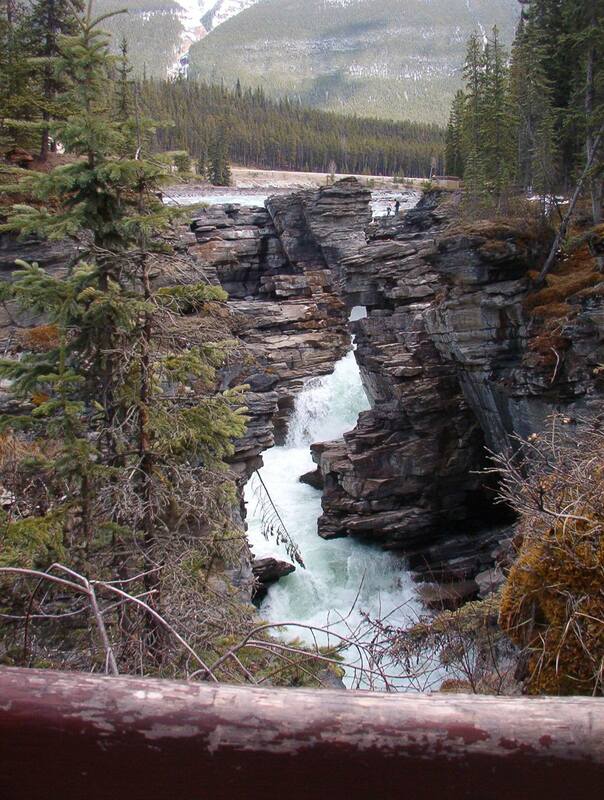 This is Athabasca Falls in Jasper National Park. You can see the Athabasca River in the background. Even in the park, it is a wide river at this point and it narrows quickly to shoot through the gorge. Kathy took this picture from the small wooden bridge that goes over the falls. You can just see the railing in the foreground. When you cross the bridge, you can walk up-stream along the river for several kilometres. 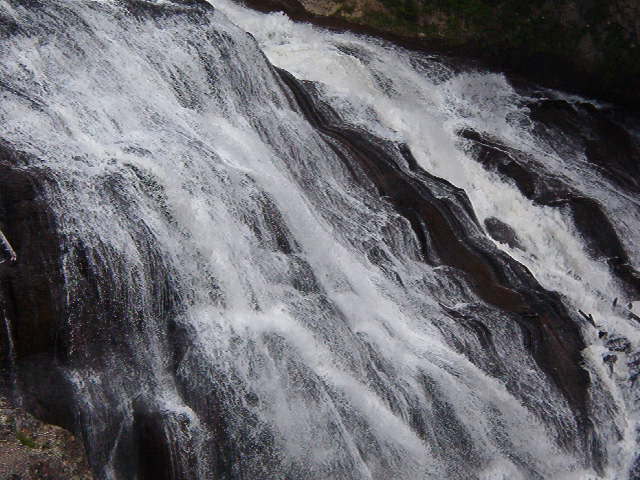 This is a slightly different view of the falls. The force of the water passing through the gorge has created a new stream bed. The water cut through solid granite. 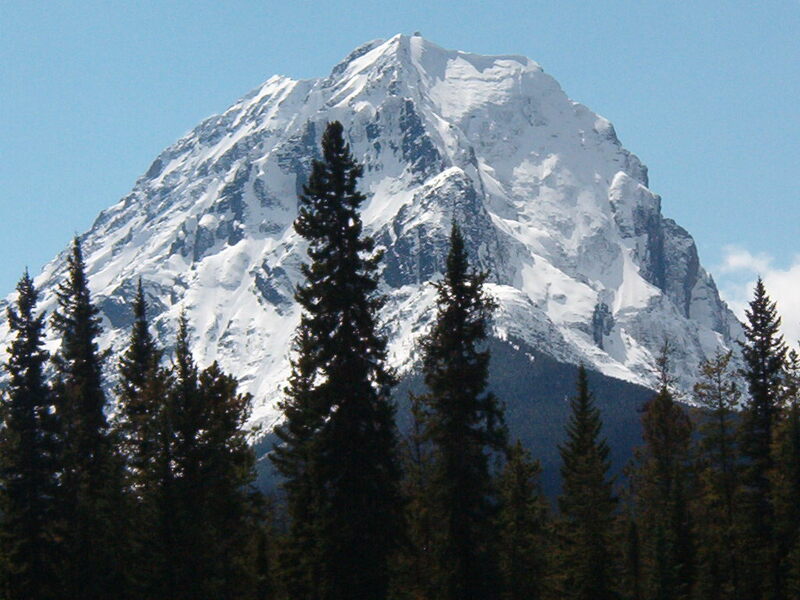 Below, you see one of the many mountains along Highway 93 between Jasper and Banff. This is a view of one of the many mountains along Highway 93 between Banff and Jasper and is not far from Athabasca Falls. 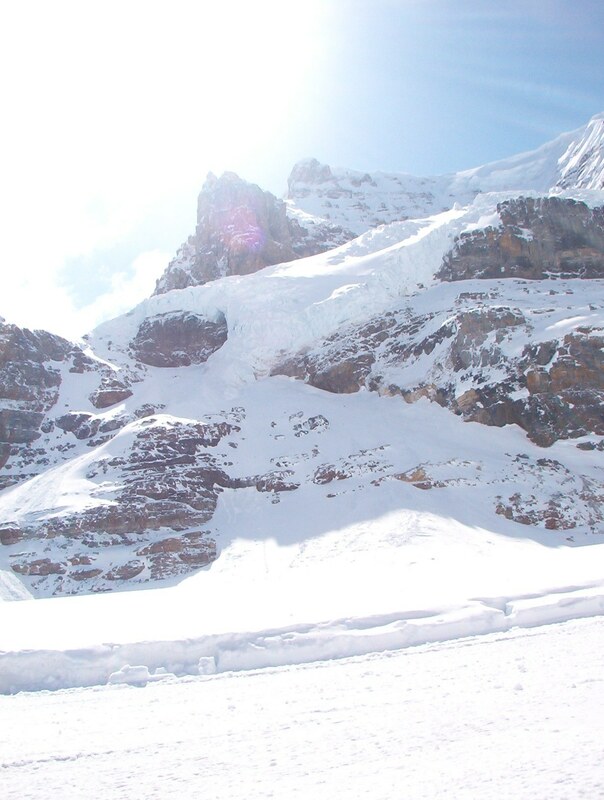 This is the Columbia Icefield looking back towards the source of the glacier and mountains. 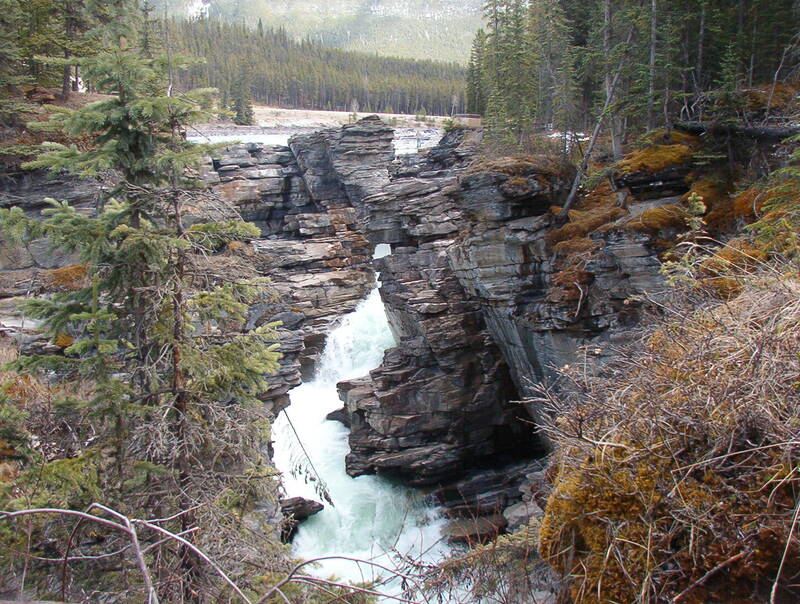 This is at the headwaters of the Athabasca River. This is the Columbia River in Oregon. Although it is a spectacular view, I wonder what price we pay for progress:? Under that water, lies a spectacular river with rapids and waterfalls. Also hidden from view is a way of life of people who settled along this magnificent river. What a loss! 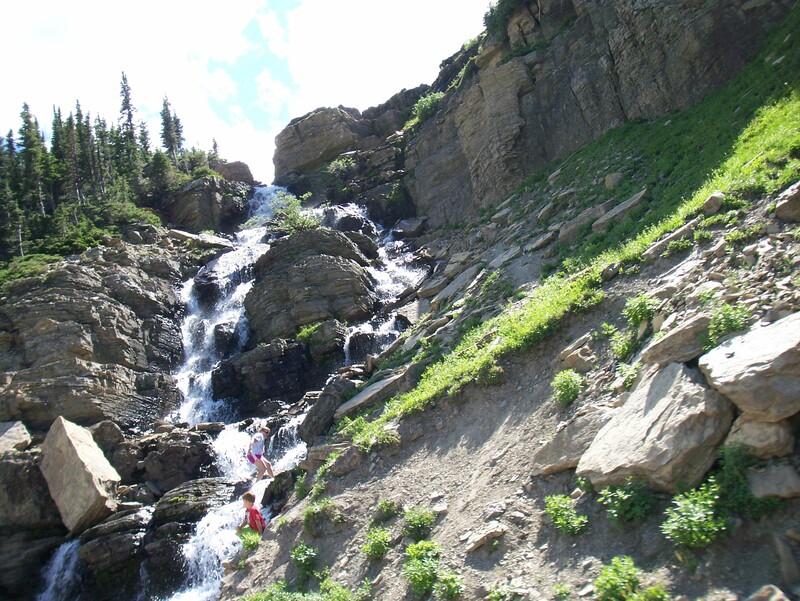 This was a small waterfall along the Continental Divide in Yellowstone. Posted in Nature in All Its Glory, Photography, Poetry and tagged athabasca falls, athabasca river, fly fishermen, haiku, Jasper National Park, nature, Rocky Mountains, travel, waterfalls. Bookmark the permalink. 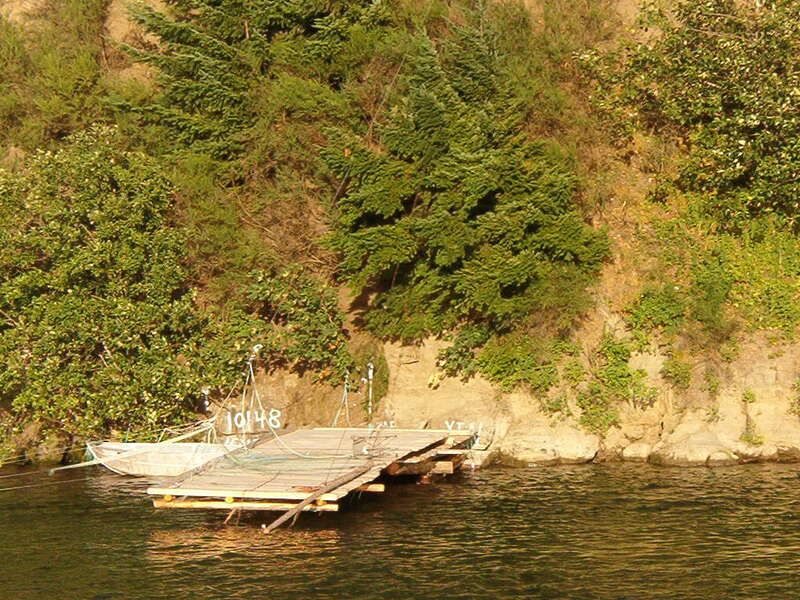 These pictures were from a trip through parts of Montana, Idaho, Washington, and Oregon. 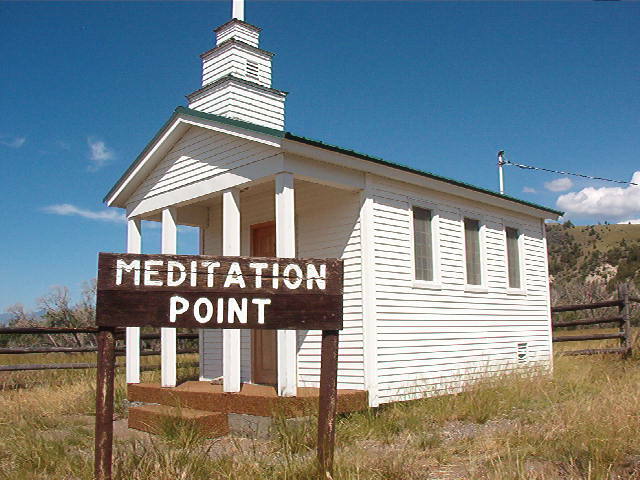 This is a small church along Highway 89. It seats about 10 or 12 people and it must get very warm inside on a hot summer day. My mother always reminds us the heat we feel here is a small sample of what we might get in the after life. 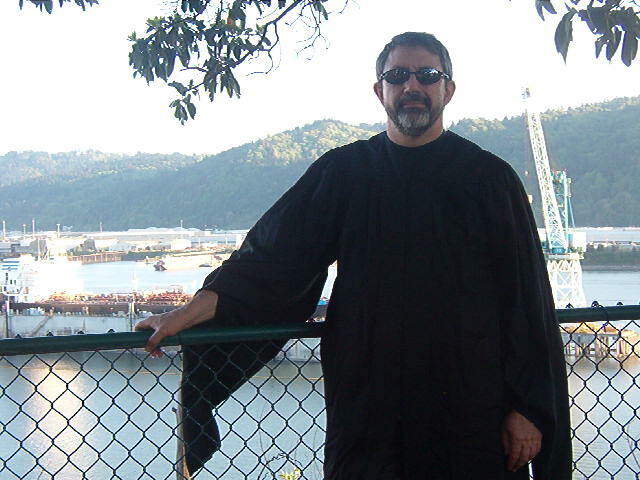 Here I am at the University of Portland at the convocation ceremony when I received my Master of Education degree. The cohort group I was part of and the unique delivery of this program by the University of Portland made this one of those events that I look back and treasure. 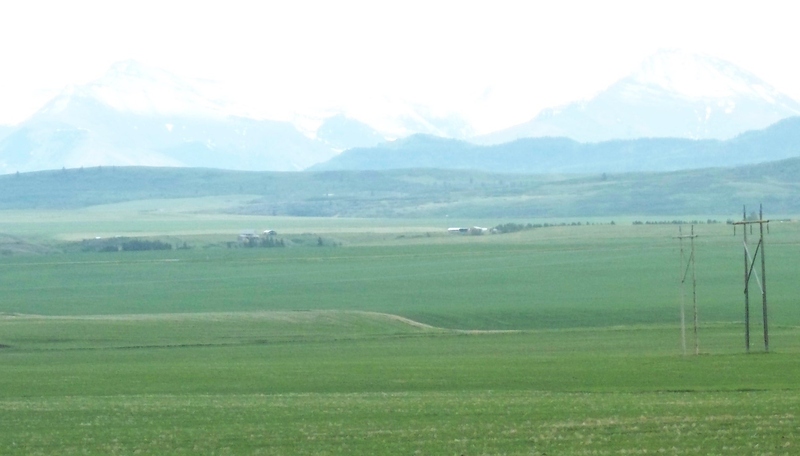 The white speck up the mountain side is the statue of Our Lady of the Rockies as you drive into Butte. 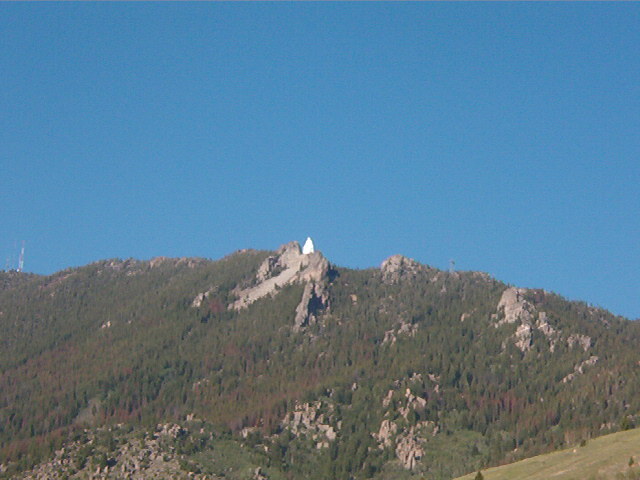 It sits on the Continental Divide at more than 8000 ft. above sea level and it is about 90 feet tall. 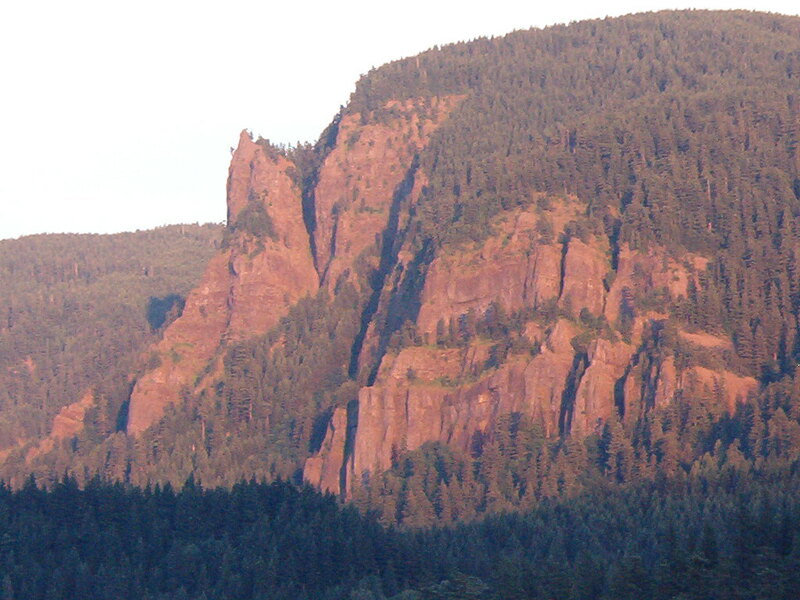 It looks the mountains and valleys traveled by First Nations’ people and explorers such as Lewis and Clark. Kathy and I are avid golfers. This is a view from a Jack Nicklaus designed course in Anaconda MT called Old Works. 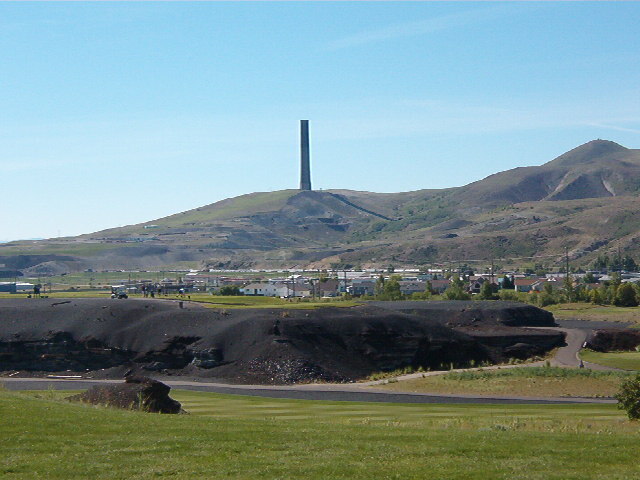 The course was built on the site of an old copper mine and the black pile in the foreground is a slag heap from the mine. In the design of the course, the slag was used to fill bunkers instead of sand and several tee boxes were built on top of some of the piles. In the background, you can see the stack from the mine. The greens are unforgiving and difficult to read. I hit most of my fairways and reached the greens in regulation or one more shot yet struggled to break 95 in the rounds I played. Most of the greens I putted 3 or 4. 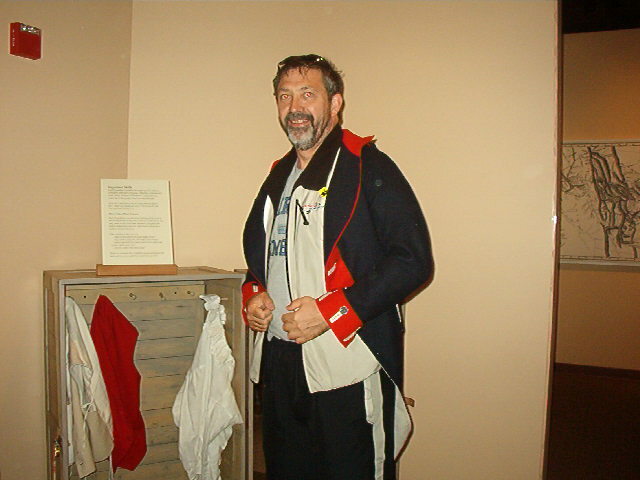 Here I am at one of the Lewis and Clark interpretive centres in Great Falls MT. We spend a fair amount of time in museums during our travels. I was auditioning for role, but apparently, the people were a bit smaller than I am. 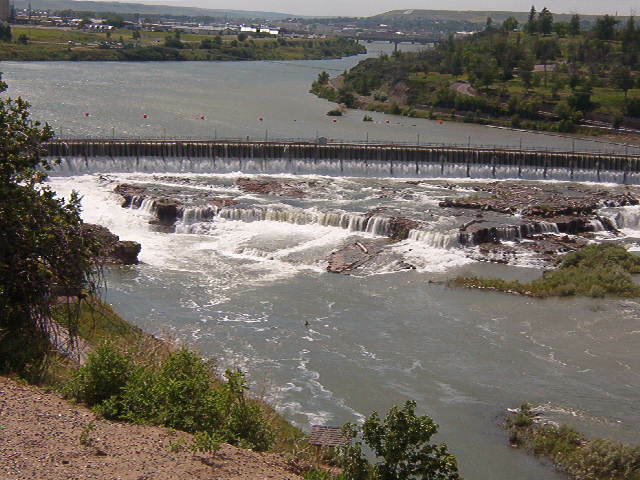 This is a view of the dam at Great Falls MT from the Lewis and Clark interpretive centre. 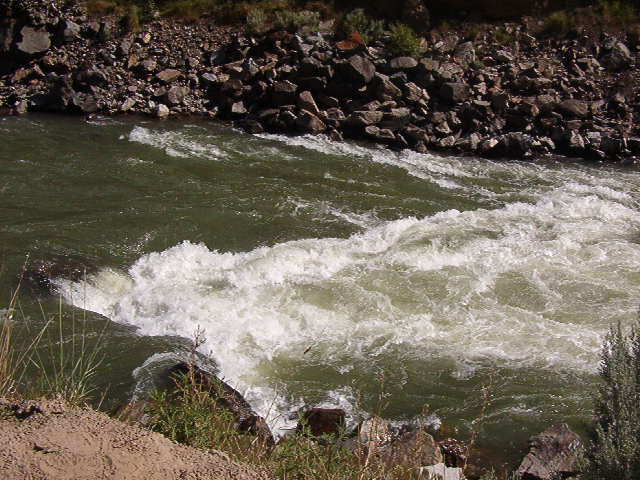 This was a small creek we stopped beside as we made our first crossing of the Continental Divide. Posted in Nature in All Its Glory, Photography and tagged nature, Rocky Mountains, travel, vacation. Bookmark the permalink.